The year has been a brilliant year for the school council and all the school. As the school council has been awarded with the ‘healthy schools award’ from the mayor. It has been a good year for the school. Thanks for reading our blog. We are so sad about leaving but looking forward to the challenges that lie ahead. GOOD BYE! Year 6 did their end of year production on Monday afternoon to the whole school and Monday evening to parents and guests. It was a complete success and all of the children (and staff) were proud of it. There were over 200 people that came to watch Monday evening, the audience seem to be impressed and clapped all of the way through! Year 5’s and 6’s have football games throughout the week. Today was the semi finals and tomorrow is the final between ‘top dogs’ and ‘red devils’, venue – upper school playground! Oakwood had a Green Day yesterday, which meant that no electricity was used. It was a problem for the teachers as they could not have a cup of tea or coffee! 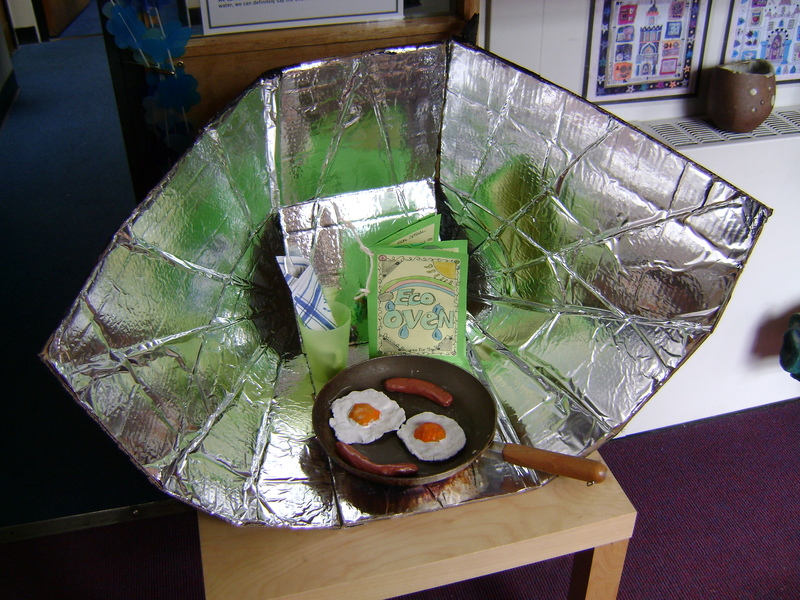 Some Year 6’s made solar ovens which are pieces of cardboard with tin foil placed on top, it was quite tricky making them! Last night all the school got their all important reports and results. Many people out of year six were happy with their Sat’s results that took place in May. The school are impressed with the results! For the remainder of the years, the pupils got their assessment results back along with a full report on general behaviour in class. 172 Derby Cubs who meet at Oakwood Junior School from 6:45 p.m. to 8:15 p.m. on Mondays (in term time) have a few spaces for September. Unfortunately we have decided to postpone this year’s ECO Fest due to forcasted heavy rain! As it’s an outdoor event and having experienced torrential rain two years ago, we’ve rescheduled the event for Sept. So fingers crossed! Last Friday the year 5’s and 6’s visited Caythorpe for a weekend trip with PGL. They did a wide range of activities such as: abseiling, climbing and orienteering. Every day they had fabulous meals and everyone enjoyed the trip. It would be great for other year groups from this school to go there as well.